Eureka! Do you have a great idea you want to share with your friends? 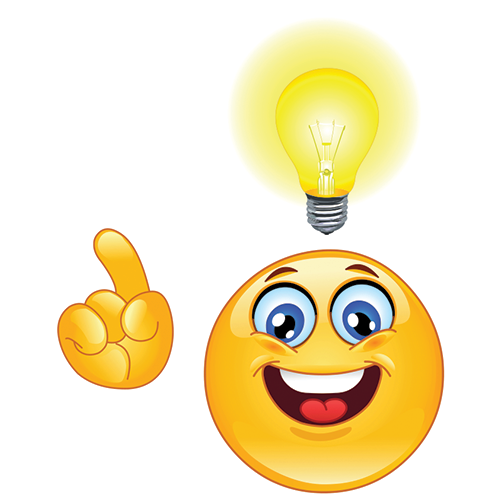 Use this smiley when you think of something brilliant! As smileys go - this one is always thinking up something phenomenal that simply must be shared in a message or on your timeline. 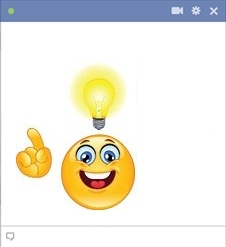 Send idea emoticon out in all your Facebook messages when you think of a new plan or come up with another one of your awesome ideas!